We are all familiar with the basic wearable fitness trackers of today. They count steps, track calories consumed and burned, register heart rate, and even follow our sleep patterns. Fast forward to the fitness and "health" trackers of the future. They promise to offer a window into our body's most inner workings. 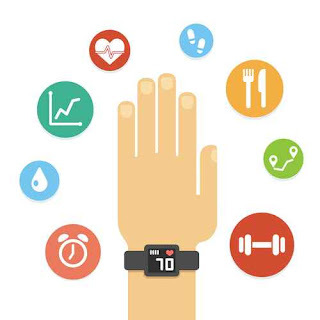 The data processed by this new wave of wearable technology will provide individuals, along with trainers, coaches, and even medical doctors, with valuable, real time information regarding the wearer's health. This newest technology is even being incorporated into actual clothing/garments. Miniscule devices discreetly sewn into fabric can track someone's whereabouts, speed at which they are running/walking, and change in heart rate. Tracking this information can help an individual decide if they need to ramp up their workout, or slow it down. As training too hard can put you at risk for an overuse injury. Major League Baseball has recently approved the use of a special sleeve to wear during play that is equipped with accelerometers and force sensors. The sleeve will track arm speed and estimates elbow and shoulder strain, in hopes of avoiding injury and preventing subsequent "Tommy John" surgeries (to replace damaged elbow ligaments) that are all too common among ball players.